The largest national carnival shopping festival in India is Diwali. Therefore, e-commerce giant Flipkart and Amazon are offering huge discounts on popular smartphones. That's why I'm going to give you information about 10 popular smartphone which is getting huge discounts in this sale. This phone is equipped with a 6.3-inch AMOLED display with 8 GB RAM and 64 GB of storage. This phone comes with 2.5D Corning Gorilla Glass. Under the hood, you get a Snapdragon 835 Octa-core processor in the phone for better performance which is clocked at 2.5 GHz. There is a 12 + 12 MP camera setup in the phone for photography that comes with portrait mode. The front has an 8 megapixel camera. This smartphone was officially launched at Rs 64,999 and now this smartphone is available at e-commerce website Amazon with a new price of Rs 43,999. This phone is equipped with 5.8-inch quad HD + Super Amoled (1440x2960 ​​pixels) infinity display, with 4 GB of RAM and 64 GB storage. This phone comes with Infinity Display and 2.5D Corning Gorilla. Under the hood, the Snapdragon 835 octa-core processor clocked at 2.5 GHz. The phone has 12 MP camera setup for photography. The front has an 8 megapixel camera. This smartphone is available at a new price of Rs 29,999. This phone is equipped with a 6.2-inch LCD display with 6 GB RAM and 64 GB of storage. This phone comes with 2.5D Corning Gorilla. Under the hood, the Snapdragon 845 octa-core processor in the phone clocked at 2.7 GHz. The phone has 12+8 MP camera setup for photography that comes with portrait mode for the Bokeh effect. The front has an 8 megapixel camera. This smartphone was officially launched at Rs 29,999 and now this smartphone is available at the e-commerce website Flipkart with a new price of Rs 24,999. This phone is equipped with a 6.28-inch AMOLED display with 8 GB RAM and 128 GB storage. This phone comes with 2.5D Corning Gorilla. Under the hood, you get a Snapdragon 845 octa-core processor for better performance which is clocked at 2.7 GHz. The phone has 16+20 MP camera setup for photography that comes with portrait mode for the Bokeh effect. 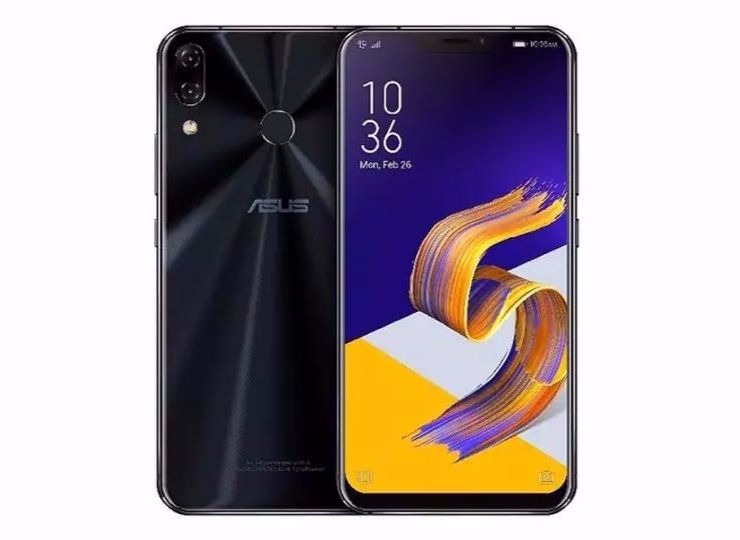 The front has an 16 megapixel camera.This smartphone was officially launched at a price of Rs 39,999 and now this smartphone is available at the e-commerce website Amazon with a new price of Rs 34,999. This phone is equipped with a 5.42-inch 1080 x 1920 full HD resolution IPS display with 4 GB RAM and 64 GB of storage. This phone comes with 2.5D Corning Gorilla Glass 3 protection. Under the hood, the MediaTek Helio P25 Octa-core processor clocked at 2.5 GHz. There is a 13 + 5 MP camera setup in the phone for photography. The front has an 8 megapixel camera. By the way, this smartphone was officially launched at a price of Rs 10,999 and now this smartphone is available at the e-commerce website Flipkart with a new price of Rs 6,999. This phone is equipped with a 5.86-inch display with 3 GB of RAM and 32 GB of storage. This phone comes with 2.5D Corning Gorilla. Under the hood, the MediaTek Helio P60 Octa-Core processor is available at 1.8 GHz. The phone has 13+5 MP camera setup for photography that comes with portrait mode for the Bokeh effect. The front has an 8 megapixel camera. This smartphone was officially launched at a price of Rs 10,999 and now this smartphone is available at the e-commerce website Flipkart with a new price of Rs 10,499. This phone is equipped with 4.9 GB of RAM and 64 GB of storage with 5.99-inch display. This phone comes with 2.5D Corning Gorilla. Under the hood, you get the Snapdragon 636 octa-core processor in the phone for better performance which is clocked at 1.8 GHz. The phone has 12+5 MP camera setup for photography that comes with portrait mode for the Bokeh effect. The front has a 20-megapixel camera. The smartphone was officially launched at a price of Rs 14,999 and now this smartphone is available at the e-commerce website Flipkart with a new price of Rs 12,999. This phone is powered by a 5.84-inch display with 6 GB RAM and 128 GB storage. This phone comes with 2.5D Corning Gorilla. Under the hood, you get Kirin 970 processor and Mali-G272 MP12 GPU for better performance which can easily run the game. There is a 24 + 16 MP camera setup in the phone for photography. The front has a 24-megapixel camera. This smartphone was officially launched at a price of Rs 35,999 and now this smartphone is available at the e-commerce website Flipkart with a new price of Rs 24,999. This phone is equipped with 4 GB of RAM and 64 GB of storage with 5.99-inch display. This phone comes with 2.5D Corning Gorilla. Under the hood, you get a Snapdragon 660 Octa-core processor in the phone for better performance, which is at 2.2 GHz. The phone has 12+20 MP camera setup for photography that comes with portrait mode for the Bokeh effect. The front has an 16 megapixel camera. The front has a 20-megapixel camera. This smartphone was officially launched at a price of Rs 16,999 and now this smartphone is available on e-commerce website Amazon with a new price of Rs 14,999. This phone is equipped with 6.0 inch Amolade Infiniti display with 4/6 GB RAM and 32/64 GB storage and comes with 2.5D Corning Gorilla Glass. Under the hood, the phone has the Exynos 7885 octa-core processor and the Mali-G71 GPU. The phone has 16 MP camera setup for photography. The front has a 16+ 8 megapixel camera. By the way, this smartphone was officially launched at Rs 29,999 and now this smartphone is available at e-commerce website Amazon with a new price of Rs 23,999.